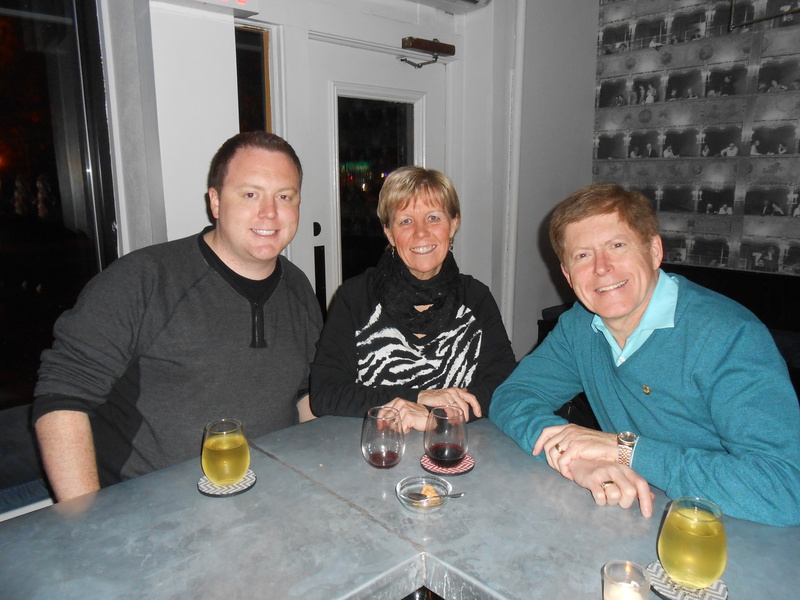 We enjoyed a stop with our son in a “hole in the wall” that has received rave reviews for atmosphere and service. Because of its location, we flew into New York City and were able to spend some time with our son prior to traveling about onehour by train up the Hudson Valley to the Beacon stop where our hosts, District Governor Manny Pardo, and his wife Kathy picked us up and brought us to our hotel. 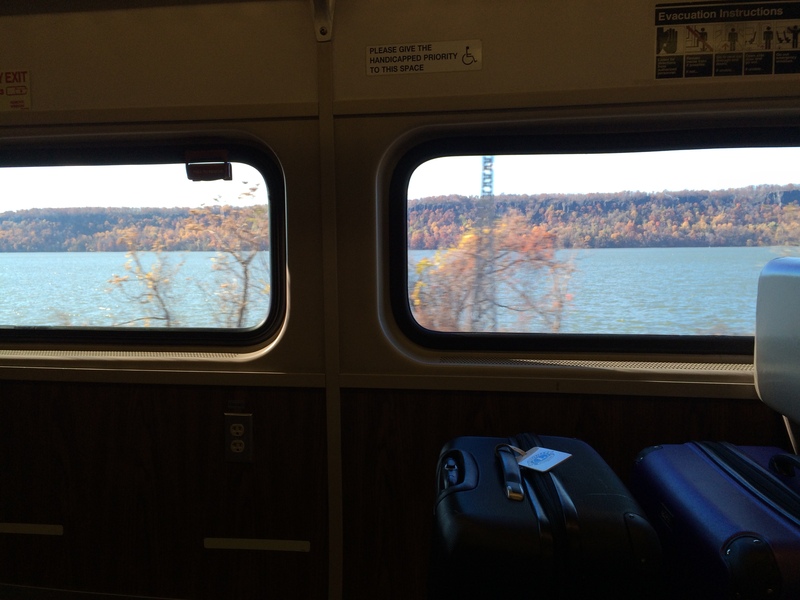 Overlooking the Hudson River on our way to Fishkill, NY. We were impressed by the graciousness of our hosts and the leadership team from District 20-O. On the night before the convention, we were taken to a wonderful Italian Restaurant where we enjoyed great food and excellent conversation on a wide range of topics. We really enjoyed having an opportunity to learn more about the projects underway and the people who made them successful. 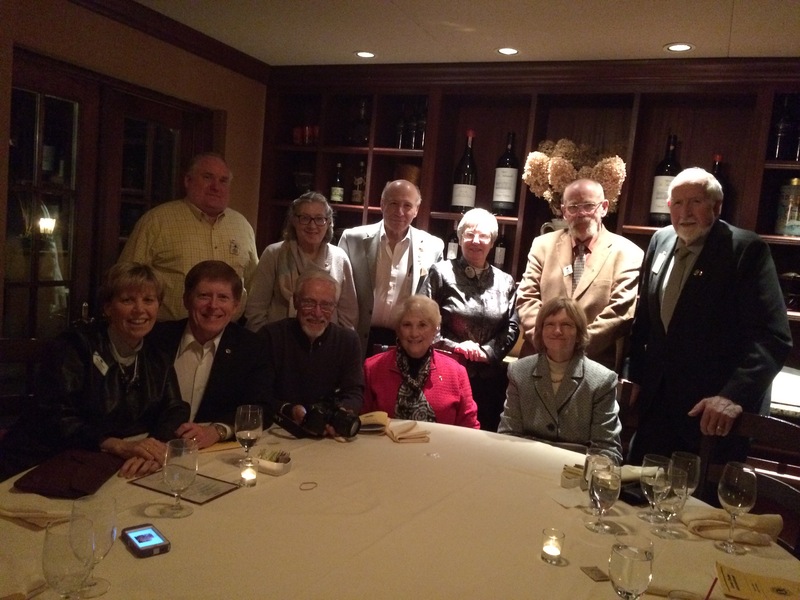 District 20-O Leadership Team at dinner before the convention. The Lions Quest Program was one particularly important topic we discussed. 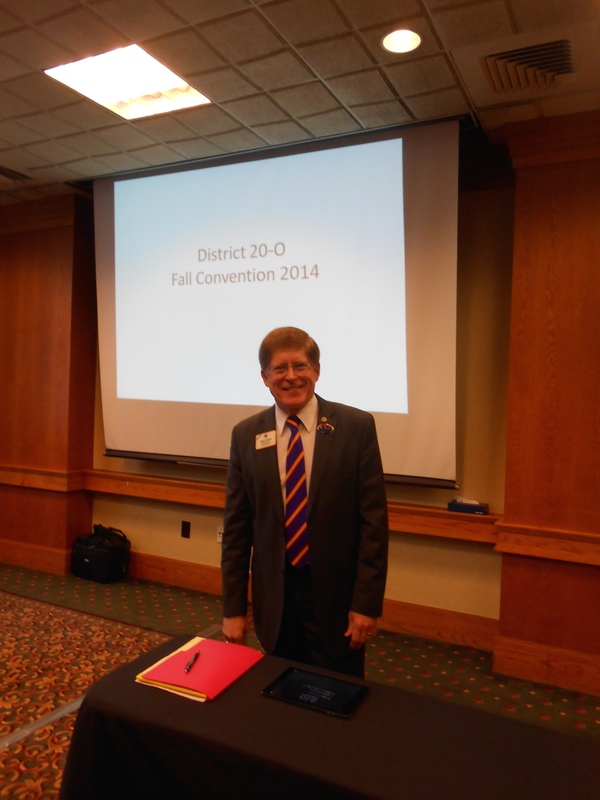 Past District Governor Stuart Wizwer chairs the District’s Quest Program and both he and his wife, Ilene are strong promoters. I will be following up with him as I have been developing communication-based curriculum that may be incorporated into the program. DG Manny and Kathy Pardo join us in front of their home club banner. To begin, the Exhibit Hall provided us with an opportunity to learn about new technology for pre-school vision screening. Vision screening is an official Lions Initiative for 2014-2015 throughout North America. A trained Lion volunteer demonstrated the camera from Plusoptix Company that checks a child’s eyes simultaneously with the capability of detecting up to six disorders: Hypercopia, Myopia, Astigmatism, Anisometropia, Hyperopia, Aniscoria, and Strabismus. All of this in less than one second of time! The printed image can be saved as a record of the screening or given directly to parents. We were proud to share that the Lions of North Dakota, with a matching grant from LCIF, just purchased 13 of these cameras and the printers to conduct pre-school screenings across the state. Imagine the impact that LIons will have by providing vision screening for many pre-schools, day care facilities, as well as church day care providers at no cost whatsoever. Another vendor featured a plush toy duck that comes with a book and tape called “Cancer Duck.” The idea is that a child diagnosed with cancer or leukemia can take care of the duck and role play being the doctor or the duck’s caregiver. There are accompanying kits so if a child is scheduled for blood transfusions, he or she reads the story, listens to the tape, and then uses the kit to give the duck a transfusion. Or if a child is scheduled for surgery, one of the kits teaches the patient what it will be like to go through an operation, or a chemo treatment, etcetera. There also “sibling” ducks that family members can play with to better understand what a brother or sister goes through when diagnosed with cancer. The funding for these toys and books comes from service organizations like Lions as well as nonprofit groups. It proved to be an emotionally powerful demonstration. 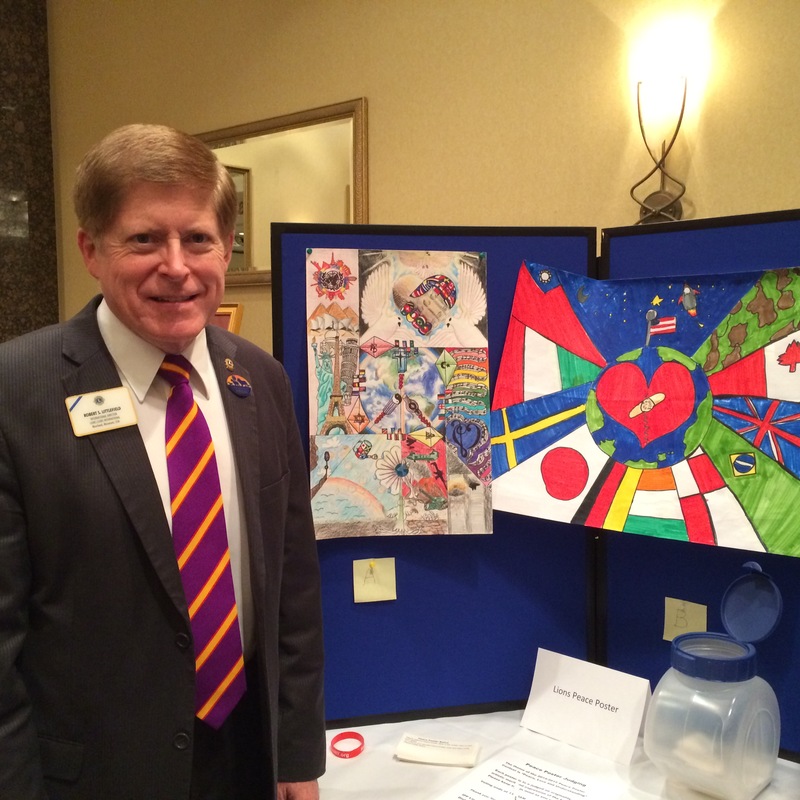 Peace poster contest entries (District winner is on the far left). 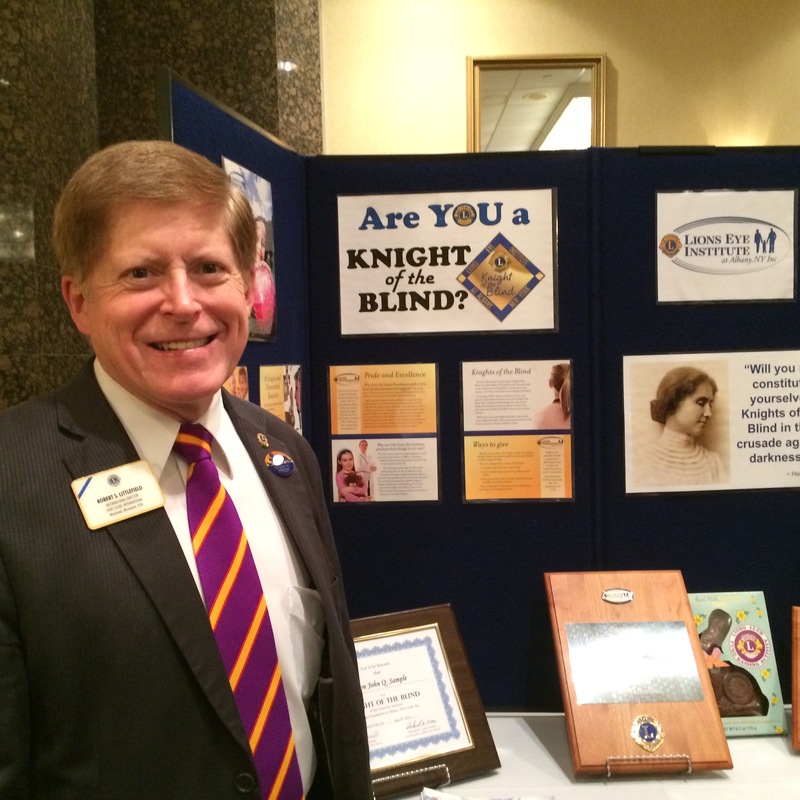 A third vendor that we spoke with represented the HLAA (Hearing Loss Association of America). Hearing loss is the number one disability in America and continues to increase at an alarming rate. The representative that we talked to provided us with more informational brochures and websites to increase our understanding of advocacy for people with hearing impairment. I was pleased to provide a Town Hall for the convention to discuss recommendations that were coming from our October LCI Board Meeting, share details about the Centennial Service Challenge and World Service Week in January, and field questions about a range of topics that were of interest to those present. I only had one hour, but DG Manny indicated that such a Town Hall had not previously been held and he hoped that this would become a regular feature due to its popularity with the delegates. 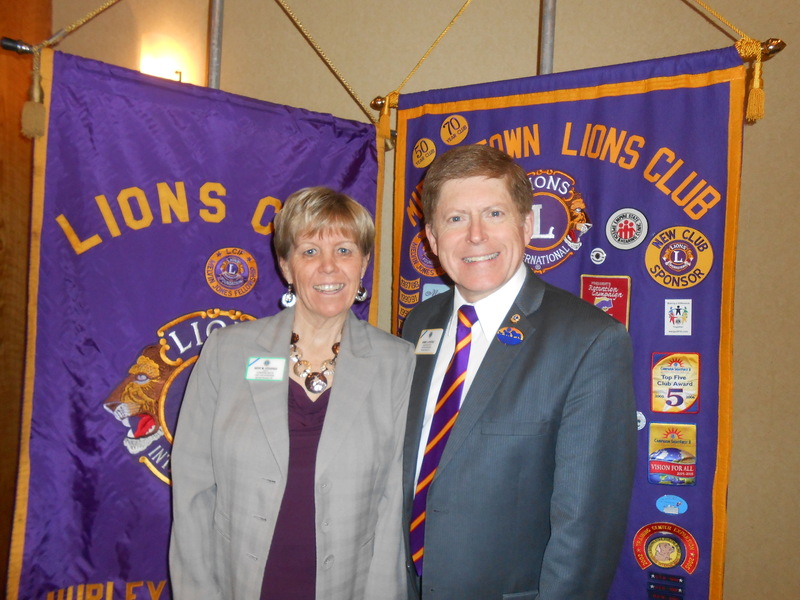 At the luncheon, I was honored to induct seven new Lions as part of my presentation. They came from across the district and when everyone stood up at the end of my presentation to pledge their support to help these new Lions become the best Lions they could be, it was very moving. At the conclusion of my speech, we let out a series of “Roars!” that shook the room and let everyone know that you need conviction to Roar with Pride! 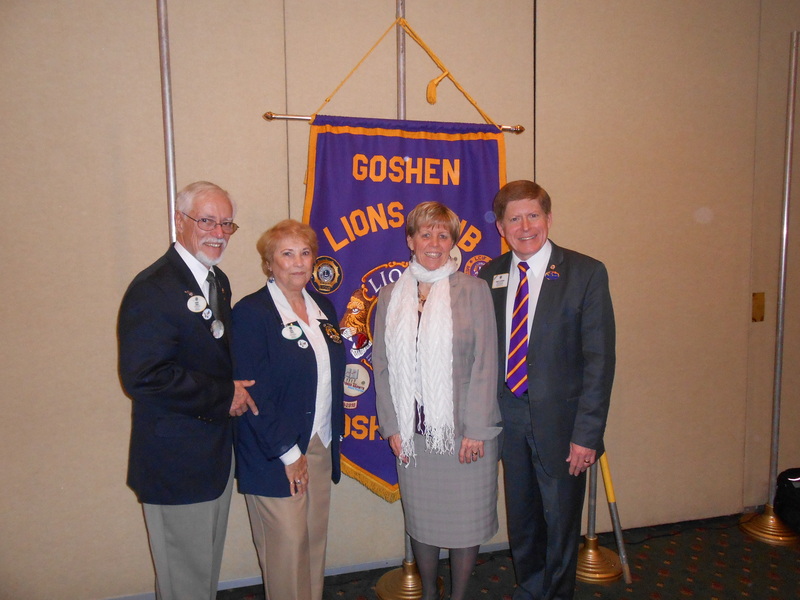 Seven new Lions join the ranks of service at 20-O luncheon. To summarize this visitation to the Hudson River Valley, Kathy and I were impressed with the professionalism of the leadership team as they presented their convention, training programs, and the welcoming hospitality extended to us. We enjoyed a wonderful weekend in the Empire State.